My Dad turned 60 last weekend! I knew he wouldn’t love a surprise birthday party but I wanted him to have a really special birthday since it’s a big one! So I rounded up all my brothers and my mom to plan a family weekend in Park City. That idea he did love, little did he know that he’d still have a surprise party. 😉 I set up my hotel room like this so when he came over to our room he’d get a mini surprise. I came up with the theme Holy Cow, Dad’s 60 Now! 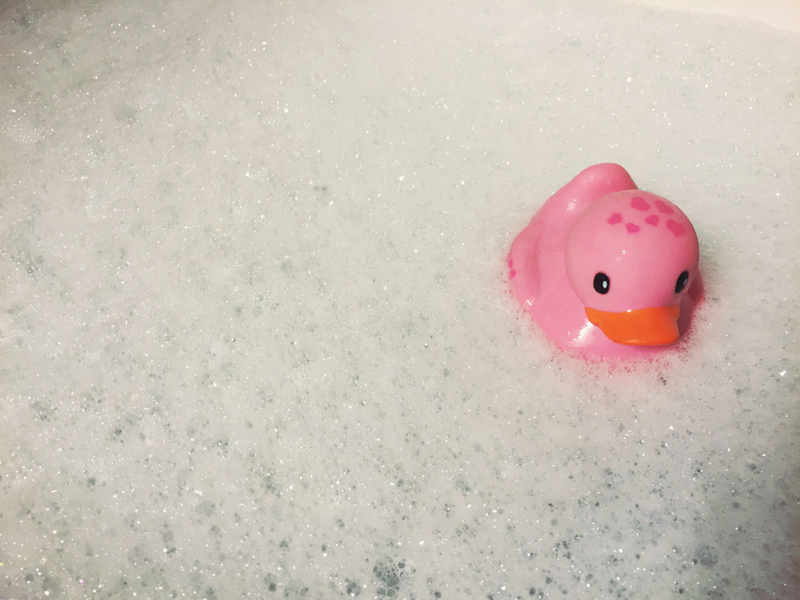 It was SO fun to plan and perfect for him because it wasn’t a huge event…just his family! 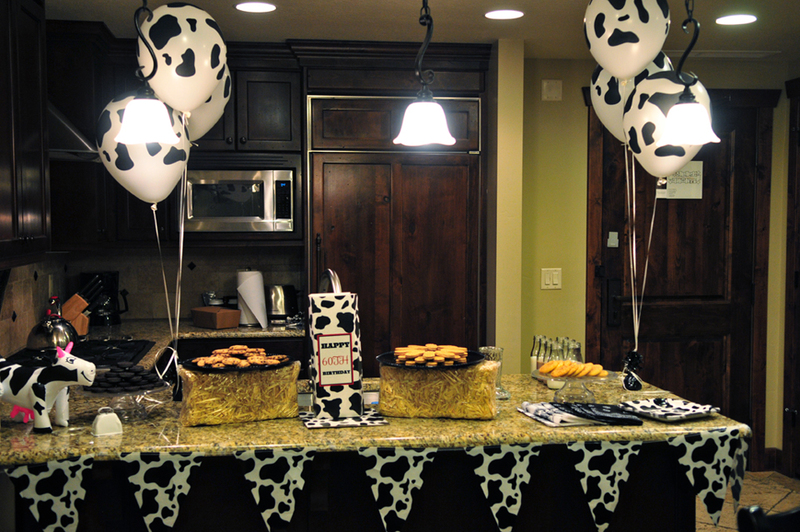 I got everything cow themed and nothing goes better with a cow theme than a milk and cookie bar! This week’s theme was leaves and the letter was L. I’ve been sick for most of last week so we participated in one of my favorite L activities…laying around and loving some Sesame Street. We were able to go on a nature walk before I got sick though. 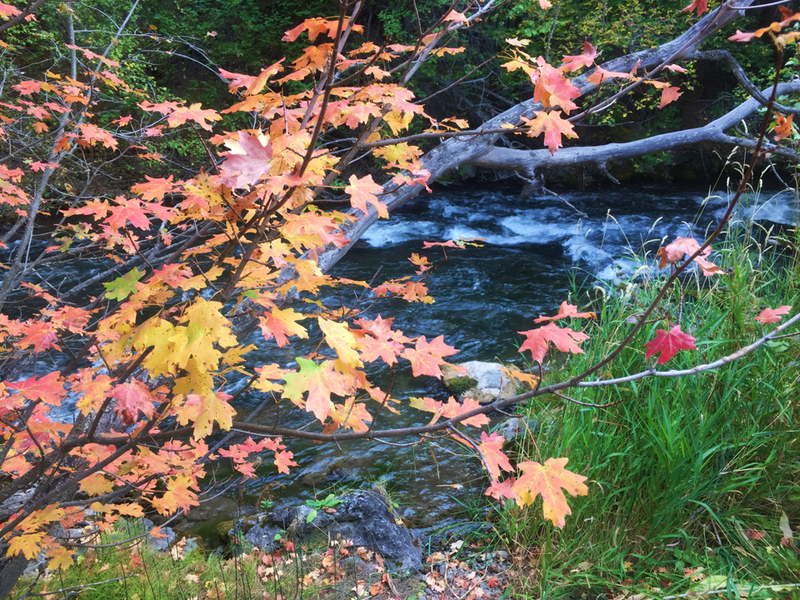 The leaves in our canyons are just starting to turn so it was perfect to teach her about leaves while they’re still green but we found a few that were yellow and red. I have a fall lesson coming up soon that I’m really excited about and I know she’ll love seeing all the yellow, orange and red leaves when we go on another nature walk. This week was easy to pick the theme and letter. Since it was Grandparent Day yesterday we had our theme be Grandparents, our letter was G and the color was green. For our G activities we played Hid & Seek with her giraffe. 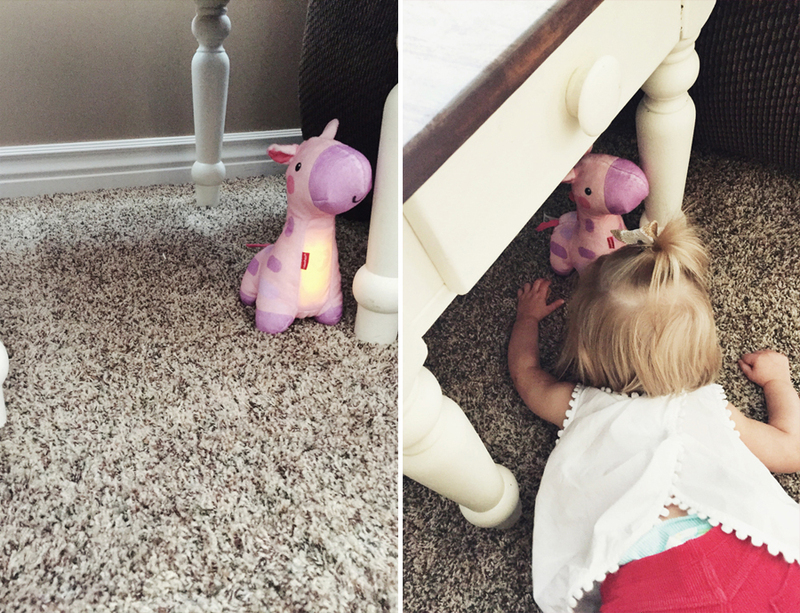 I hid her musical giraffe and turned on it’s music. Then she went searching for it. She found it pretty dang quickly so we played it several times and she stayed invested in the game the whole time. WIN! We read Go Dog Go and also played outside on the grass, which led us to our color activities.